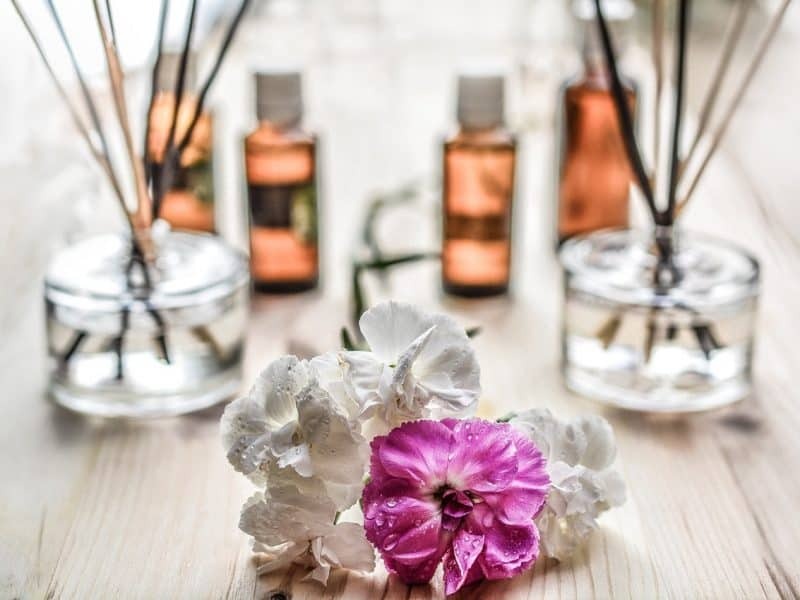 If you’re dipping your toe into this world of the natural living and you’re wondering which are the best essential oils to have, you’ve come to the right place! I want you to be confident in how you can choose the best quality essential oil that will suit the various needs that you and your family have. First, we’ll take a look at the concept of oil grading and organic certification so you know what the labels mean. And then we’ll dig deeper into a few of the best and most popular essential oils you’ll absolutely want for your collection. The most important factor in choosing essential oils is to make sure that they are 100% pure. There is no standardized grading system for essential oils, and no authority board in the United States (or really, anywhere in the world) that oversees the oils. Some companies may refer to their products as “therapeutic grade” or “Grade A”, but they are simply assigning these to their own products and it is not overseen by any governing body. Your best bet is to do some of your own research on a brand or company to find out how they source their oils. Reputable companies should provide their consumers with test results (such as Gas Chromatograph/Mass Spectrometer or GC/MS) that verify purity. This ensures that the oils have not been mixed with synthetic additives or diluted in any way. If you can’t get this information from a company, you probably don’t want their products. But even then, you have to trust that the results you are given are legitimate. The question of organic essential oils can be a bit confusing because, again, there is no board of authority that oversees the growth of plants that are used for essential oils. Most reputable companies choose plant suppliers who farm without pesticides, even if they are not specifically ‘certified’ because of differences in international rules. When choosing the best essential oils, it all comes down to finding a trusted brand. And don’t be fooled—the most expensive brand of oils is not always the best! Sometimes they are just higher priced. This is especially true if they come from companies who use a pyramid selling plan with local representatives. Buying your essential oils online (after doing some research about the company) is probably the best and most affordable way to source them. So now you’re probably wondering which are the best essential oils to start with. Following are some of my favorites and the most popular essential oils available today. Take your pick and you won’t be disappointed! Here are some of the most popular essential oils that you can find on the market today. And there’s a reason everyone loves them—because they’re amazing! These must-have essential oils for beginners are in the cabinets of every EO guru you’ll ever meet. And you may find that they carry these oils around with them wherever they go. This must-have essential oil for beginners is effective for so many different uses. The floral scent makes it one of the best smelling essential oils that is beloved by many. Although this oil is known for being mild and calming, a few people are allergic so it’s important to take care. While most essential oils need to be diluted with a carrier oil, Lavender is safe to apply directly to the skin. For promoting healthy sleep, add a few drops to a diffuser and place in the bedroom before sleep. You can also diffused it into a room for a calming scent that reaches the whole family. One of the best smelling essential oils that almost everyone loves, Peppermint offers a myriad of health benefits as well as a boost of energy. Its minty scent is reminiscent of candy canes and fresh summer days. Use in a cool mist humidifier during winter months for fighting colds and cleaning the air. Add a drop to a glass of water and use as a mouthwash. Place a few drops with a carrier oil and massage into sore or tired muscles. Who doesn’t associate the smell of lemons with something fresh and clean?! It takes about 50 lemons to make a small 15ml bottle of essential oil—and you can tell just by opening it. Add a few drops of Lemon to water and white vinegar in a glass bottle to use as a disinfecting cleaning spray for kitchen counters and bathroom sinks. Apply directly to the skin for healing purposes (avoid exposure to sun after use). Add a drop to a glass of water and drink it to give a boost to the immune system (of course you should only ingest oils that you know are 100% pure). The bright and somewhat medicinal scent of eucalyptus is minty with a hint of pine and sweetness. Some people describe the scent as sharp and clean, with a hint of camphor. At the first sign of a cold or flu, place a few drops of Eucalyptus essential oil in a diffuser and breathe it in to ward off winter infections and fight sinus congestion. Or add to a pot of hot water, place a towel over your head and inhale the steam. Add a few drops to a carrier oil and massage into tired and sore muscles. Known from ancient times as a precious commodity, Frankincense essential oil is extracted from the resin of a hardy tree. This oil is more expensive than many, and works well when blended with other oils to make it effective for a variety of reasons. The scent is woody and clean with a warm and spicy tone. Diffuse into the air in winter months to kill germs and boost your immune system. Apply directly to the skin on the face before going to bed to keep the skin healthy, prevent wrinkles and fade dark spots. Or apply to warts, moles, and other skin problems. Take a deep sniff of this oil after eating a heavy meal to aid with digestion, or prior to going to sleep to help calm and relax. Another essential oil with a strong odor, tea tree oil is also commonly called ‘Melaleuca’. This scent is very medicinal and acrid with a camphorous odor. treating bad breath and killing mouth germs. Apply directly to cuts, scrapes, and acne in order to kill germs and promote healthy healing. Add a drop to a glass of water and gargle to kill germs in the mouth. Dilute with a carrier oil and apply topically to skin affected by athlete’s foot, nail fungus, or other infections. This oil has a sweet, flowery scent that some people compare to apple blossoms. It’s an earthy, straw-like smell that many people find to be mild and enjoyable. Add a few drops to a cool mist humidifier and place in the bedroom to help calm and relax. Or add a few drops to a water bottle to create a pillow spray or room spray. Add a drop to your favorite herbal tea or apply directly to the abdomen to soothe digestive problems. Do not use if pregnant or breastfeeding. This essential oil has a strongly herbal scent that has a mellow undertone reminiscent of camphor. If you don’t like the scent, blend it with Peppermint or a citrus oil to cut the smell. Add a few drops to a carrier oil and apply to the bottoms of the feet or abdomen to aid with digestion. Or apply to sore, achy muscles to help with pain. Place in a diffuser to bring a sense of peace and clarity to the room, reducing tension and fatigue. Do not use if pregnant or breastfeeding. This is one of those scents that many people have to get used to as it is very earthy and pungent. Notorious for being used by hippies in the ‘60s and ‘70s, the scent is not always appreciated by everyone and can be blended with other oils to make it less obvious. Add a couple of drops to a carrier oil and apply directly to the face to keep your skin looking fresh and healthy. For grounding emotions, place a drop in the hand, cup the hand over the nose and mouth and breathe in naturally for a few minutes to receive the emotional and hormonal benefits. Popular and affordably priced, open a bottle of orange essential oil and the room will smell like you just peeled a fresh orange! Add a few drops of orange essential oil to a spray bottle filled with water to use as a room freshening spray, counter disinfectant, or bathroom cleaner. Place a few drops of orange oil into a cool mist humidifier and diffuse into the room to boost moods, improve blood flow, and reduce stress. This oil made from the flowering marjoram plant has a slight ‘green’ scent that is similar to herbs such as thyme and cardamom, with a hint of peppery and camphor smells. Add to a carrier oil and apply to the back of the neck to reduce feelings of stress and tension. Or apply, diluted, to the bottoms of the feet to promote heart health and have a positive effect on the nervous system. Diffuse into the room to soothe fussy children or calm anxious students. Not recommended if pregnant or breastfeeding. Another oil from the popular citrus family, Grapefruit has an attractive scent that is energizing and affordably priced. Blend with spicy oils such as cinnamon for a balanced, warming atmosphere. Diffuse into the room to help balance emotions, boost energy, and suppress sugar cravings when trying to lose weight. Dilute in a carrier oil and apply topically for fighting throat and respiratory infections. Add to a spray bottle filled with water and white vinegar for a germ-fighting counter spray or bathroom cleanser. With a scent reminiscent of autumn, pumpkin pie spice, and warmth, cinnamon essential oil brings a cozy, comfortable atmosphere. The scent is especially enjoyable when blended with other spices (such as nutmeg and clove) or citrus oils like lemon and orange. Diffuse in the air to promote healthy blood flow to the brain and reduce headaches, as well as encouraging self-confidence and balancing emotions. Add a few drops to a carrier oil and apply directly to sore joints, or apply to the bottoms of the feet for pain relief throughout the body. The scent of clove is strong and spicy, with a deep earthy tone that can be overpowering to some people. It is often blended with citrus or floral oils to tone down the scent. Add a drop to a glass of water and gargle for oral hygiene. Dilute with a carrier oil and apply topically to acne, boils, sores, rashes, or other skin problems. Apply, diluted, to the bottoms of the feet to promote good circulation, aid in digestion, eliminate toxins, and reduce inflammation or nausea. This plant is not quite a well-known as some of the others, but its powerful benefits make it super popular as an essential oil. It does not smell like the commonly known cooking spice, called sage. The scent of this oil is earthy, herbal, balmy, and woody. Some people do not prefer the aroma and find it more tolerable when blended with lavender or other floral essential oils. If you’re a woman dilute with a carrier oil and apply directly to the abdomen and bottoms of the feet to help promote and stimulate regular menstruation in younger women and hormone balance in menopausal women. This same application on the feet can be used to calm nerves, lower blood pressure, and relieve depression. Apply, diluted, directly to the abdomen to reduce stomach disorders and relieve trapped gas. Use, diluted, as an anti-stress massage oil. Essential oils are incredibly powerful substances that can bring a whole host of natural health to you physically, mentally, and emotionally. Enjoy the benefits of topical application, misted throughout the air with a diffuser, or by making your own household cleaning and body care products. You’ll find that your life can be radically changed for the better with healthy, therapeutic essential oils.